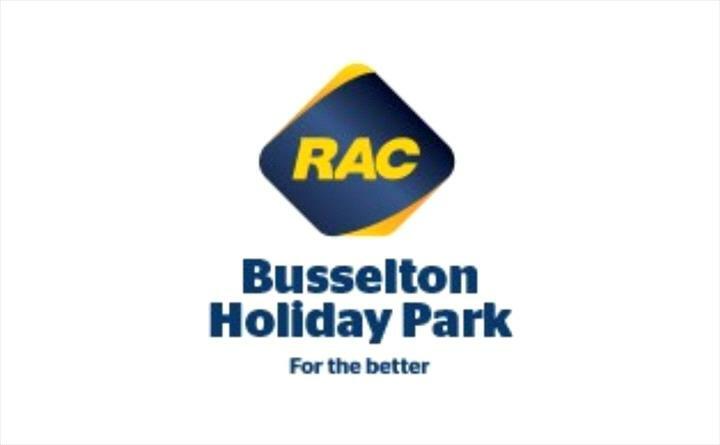 Centrally located on Caves Road between Busselton and Dunsborough, RAC Busselton Holiday Park is the perfect base for accessing all the attractions the south west has to offer. Situated on 20 acres of peppermint tree parklands, the holiday park offers a whisper quiet location to make your visit even more enjoyable. All our generous sized sites are grassed. There is an abundance of wildlife, varied birdlife, possums and the odd kangaroo visiting the eco village. Facilities available for Disabled guests. Our 1 & 2 bedroomed cabins and studio apartments provide a modern environment for a peaceful stay. We have a wide range of accommodation types to suit your needs and budget. All our cabins and studios are designed to make your stay as comfortable and carefree as possible. Our Park is equipped with a modern camp kitchen, outdoor swimming pools (one heated), shaded chldrens playground, free BBQ's, kiosk, wireless internet, and is 300 metres to the beach. Tariffs based on 2 people. Additional rates apply for extra people. Unique designed cabins with reverse cycle air-conditioning, ceiling fans, coloured television and DVD player. This 41/2 star accommodation features en-suite bathroom, main bedroom separate from living room with lounge suite, all linen provided. There is a fully self-contained kitchen with cook top and microwave, refrigerator & dining suite. These are our top of the range deluxe cabins featuring two separate bedrooms each with Queen beds, bathroom and separate toilet, living room with lounge suite, TV, DVD, kitchen with oven, stove top, microwave, refrigerator, and dining suite. One of our deluxe designed cabins that sleeps a minimum of two people and a maximum of four. There are two bedrooms, one with a queen-size bed and the other has two single beds. The one bedroom open plan unit contains one queen bed and a bunk bed, an en suite, fully self-contained kitchen with cook top and microwave. En suite powered sites with private shower, vanity and toilet facilities and full access to camp kitchen facilities. The triple studio apartment contains a queen bed plus a single bed. It is fully self-contained with en suite, kitchen with cook top and microwave. There are bedside tables, television, refrigerator, table and chairs. All linen, pillows, blankets and towels are supplied. The one bedroom open-plan studio apartment has a queen bed, en suite, fully self-contained kitchen with cook top and microwave. There are bedside tables, television, fridge, table and chairs. All linen, pillows and blankets are supplied. These are our top of the range deluxe cabins sleeping a maximum of five people. There are two bedrooms, one with a queen-size bed and the other has a single bed plus a set of bunk beds. Offers spacious grassed powered sites for caravans and campers. Two ablution blocks with disabled facilities, a coin operated laundry situated at one end of each block which also contains a baby bath. Lovely grassed sites close to the large modern camp kitchen which offers for your use a refrigerator, hotplates and a microwave. Our reception office is open from 8.00 am to 6.00 pm every day. Please advise the office if you intend arriving later than 6.00pm.